IBM ifundIT is a community-driven enterprise crowdfunding platform that empowers individuals to innovative on business solutions, and to select the best ideas. Security Assertion Markup Language (SAML) makes it possible for a user to access ifundIT with their valid company ID. A company controls who has access and ensures password security. Customize ifundIT to meet the needs of your campaign and desired user experience. Add your own branding, update the project submission process, create help FAQs, and more. ifundIT offers configurable campaign modes to suit different business goals. Adjust a campaign’s timeline, funding goals, participant models, and conditions to meet your organization’s objectives. 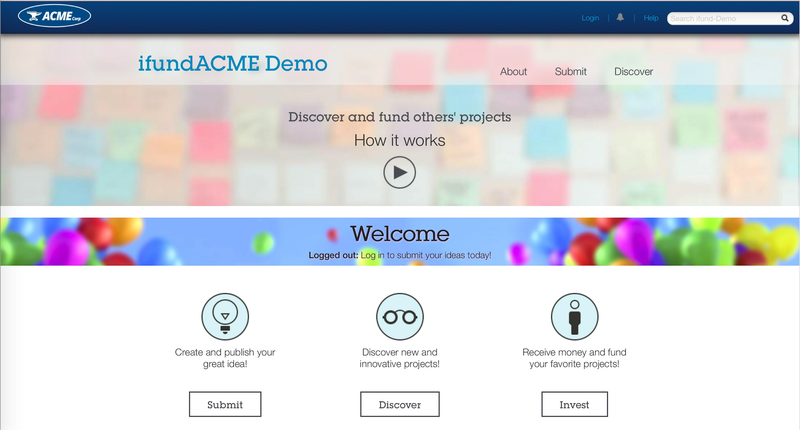 Users are guided through an interactive project submission process so they don’t forget to include important details about their innovative idea, such as attachments, images, and multimedia.